How Long Does Basement Waterproofing Last? If your basement is wet and musty due to leaking walls or floors, basement waterproofing is the solution. Without such a solution in place, your home could experience the pitfalls of water damage, from health problems due to mould growth to serious structural problems due to rotting wood. If left untreated, your home could experience additional costly repairs, including emergency plumbing services. When it comes to basement waterproofing, the first step is to determine the source of your wet basement. Is high humidity the source or is outside water entering your home? Ensure that your downspouts and gutters are working correctly and that the grade of soil surrounding your foundation is also properly diverting water away from your home. Depending on the type of basement waterproofing you choose, it can be an investment in some cases (although one that certainly generates a significant ROI); naturally, one commonly asked question is, how long does it last? Basement waterproofing is not a one-size-fits-all type of solution. Ultimately, there are likely several different factors contributing to your wet basement, from cracking basement walls to improper backfilling, in addition to the home’s foundation, which means that methods used for waterproofing vary from home to home. Some houses may also need to use several different waterproofing methods. In general, basement waterproofing methods include: waterproofing primers and paints for both the interior and the exterior (which effectively act as sealants), crack injections, exterior excavation waterproofing (such as a French drain system) and interior excavation waterproofing (a sump pump). This means that the length of time that basement waterproofing lasts varies depending upon the method(s) used. Waterproofing primers and crack injections are not permanent, but most of these products have a warranty of ten years. However, if they are correctly applied, they can last even longer. 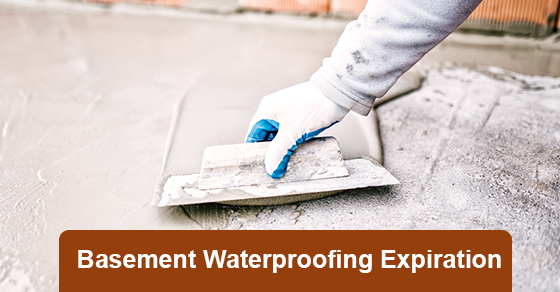 Professional basement waterproofing ensures that the proper method is used, thereby extending its lifespan. The exterior excavation waterproofing method is more permanent, lasting many years. It is also virtually maintenance free. The downside, of course, is that it is a significant investment. If your basement is leaking and you are in need of professional basement waterproofing services, contact Brothers Plumbing today. We are one of Toronto’s leading plumbing providers with over 50 years in the industry. Our services are available at very affordable rates and at a time that is right for you. Our basement waterproofing service uses some of the most advanced technology to protect your basement.